We were at the Petite Rivière Fireman’s Breakfast. He said the work would go ahead and that it was “a process” that he could do nothing about. When I persisted, he told me “this isn’t the place for this discussion.” I told him the work, as planned, would ruin the dune system. And on that unpleasant note I left. I met with the Friends of Crescent Beach two weeks ago and have been able to facilitate a meeting between Friends of Crescent Beach representatives and representatives for the Department of Transportation this Thursday…. In my meeting with Friends of Crescent Beach, they advanced two proposals. 2. Could the sand removed from the road side of the dunes be returned to the beach side of the dunes. In my view, these are reasonable options for consideration. I have advanced these options with TIR representatives on behalf of Friends of Crescent Beach. I will continue to work with the Friends of Crescent Beach and TIR representatives in a productive and progressive way. Contrary to what many may believe an MLA does not have the authority or ability to overturn decisions of individual Departments in government. My role as your MLA is to facilitate discussions and dialogue to ensure all voices and concerns are being heard. Recognizing there are limitations on what an MLA is able to achieve, I will continue to advance the concerns of Friends of Crescent Beach with this approach in mind. Minister Furey misses the central point here. Beaches and their associated dunes are complex, dynamic, fragile systems that protect coastlines from storm damage while supporting wildlife and offering the recreational pleasures Nova Scotians celebrate on our license plates. They are imperilled when road builders with no scientific expertise in beach management start mucking about with excavators. 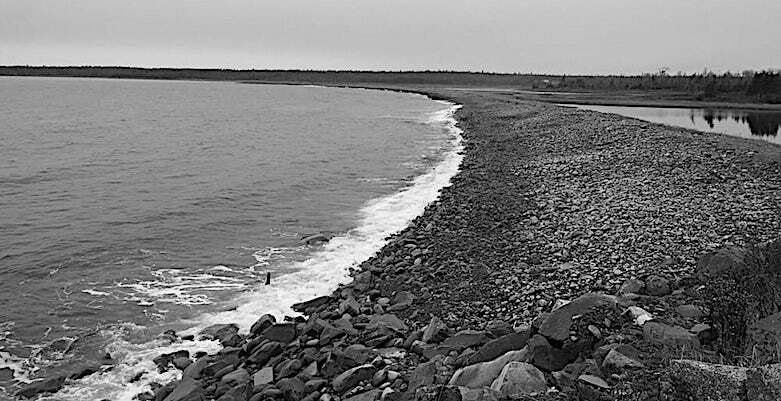 Silver Sands Beach at Cow Bay, east of Dartmouth, was a prized recreation spot for Halifax area residents until the Trynor Construction Company destroyed it in the mid-20 century by excavating sand and gravel to build CFB Shearwater and various Halifax office towers. Saint Mary’s University student Magen Lilli Hudak recounts this story of corporate greed and government malfeasance in her fascinating 2004 master’s thesis. 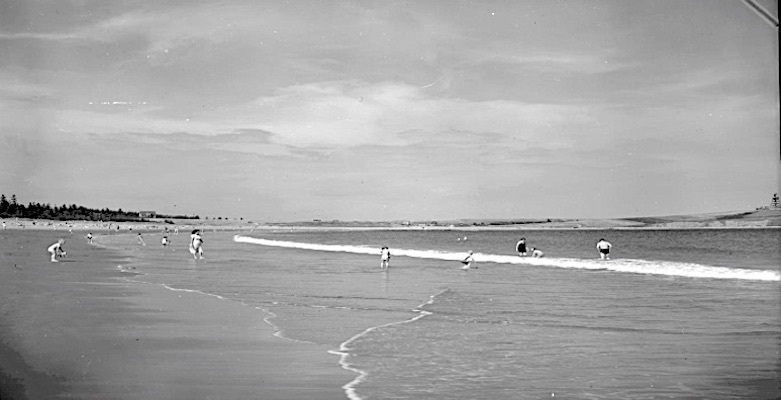 Silver Sands was once touted as one of the Halifax area’s most popular beaches. A “long stretch of fine white sand,” it was flanked by a tree-lined picnic area, situated against a lake. It boasted various sundry amenities — including an open concept pavilion, in the early decades of the twentieth century, and by midcentury, it was equipped with modern style beach canteens and a dancehall. 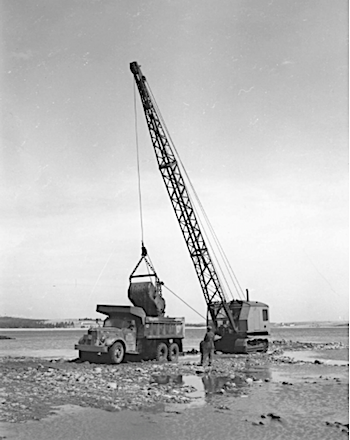 Public uproar over destruction of Silver Sands led to passage of the Beaches Preservation and Protection Act of 1967, and the hiring of a provincial beaches expert. But the province quietly terminated the expert’s position a decade ago, and it is relying on technicalities in the current version of the Beaches Act to avoid any environmental review of its plans to excavate sand from Crescent Beach. The last beaches expert employed by the province has sharply criticized the plan. Mark Furey and Peter Barss are not beach experts. Neither, for that matter, are the Friends of Crescent Beach, or Transportation Department engineer Christina Yeadon, who has promoted the province’s dune excavation plan in a series of media appearances. Reducing the excavation from five feet to three, and replacing all sand removed from the highway side of dunes to the beach side may lessen the worst impacts of the project, but the Transportation Department has so far not agreed to either step. The bigger problem is that, ecologically and scientifically, the province is flying blind. It no longer has a beaches expert. It has conducted no environmental assessment. A project of this type should never be undertaken without the guidance of a beaches expert and a meaningful, independent environmental review. This shouldn’t be a controversial notion. It’s 2018, not 1940. It’s a Liberal Nova Scotia government, not an anti-science Stephen Harper government. The province should cancel this tender and seek expert advice and an environmental review before proceeding. One other point. If Mark Furey did indeed tell Peter Barss that the Petite Rivière Firefighters’ Breakfast was “not the place” to discuss an important local issue, he misapprehends the relationship of MLAs and their constituents. When they attend community events, elected officials enjoy no immunity from constituent concerns. Quite the contrary: receiving and listening to such concerns are important side benefits of public appearances. No rule or tradition limits pancake breakfasts, church socials, and fire department barbecues to glad-handing pleasantries. If his government’s failure to obtain expert advice before excavating 60 truckloads of sand from the Crescent Beach dunes causes Furey embarrassment and discomfort, well, embarrassment and discomfort over inept government practices go with the job, and they are not limited to office hours.